Learn Advanced React practices, master GraphQL or get a crash-course on the next-gen programming language - ReasonML. Workshops are happening on November 29, 2018 (and 28 for second Advanced group), at SRH Hochschule Berlin. Doors open at 8:30, trainings from 9:00 till 18:00.
by Kristijan Ristovski, React Academy. November 28 and 29. An exclusive full-day, hands-on coding workshop to explore advanced patterns and new features in React. React may be just a simple UI library, but it involves a pretty big ecosystem around it. Explaining the basics and internals is not enough, so in this module we're going to explain the best practices, we're going to learn to "think in React", and apply solutions to real problems that you might encounter in the process of building an app. React 16 comes with some major changes and an update to the core algorithm. In this module, we'll explore some practical use-cases for Portals, Fragments, Error Boundaries etc. We'll see how the new Context API can simplify state-management and we'll play with a new feature called react-call-return. Want to know more about the trainer? Check React Academy website. by Imran Sulemanji, GraphQL early adopter. November 29. 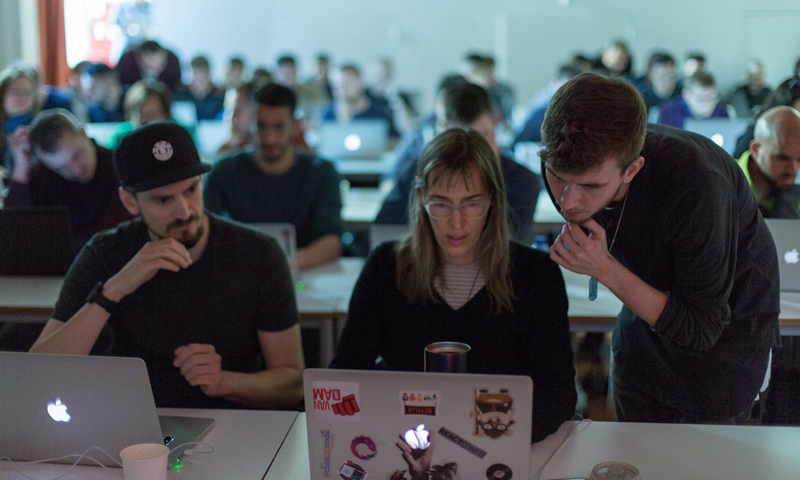 Formidable will hold a full-day, full-stack, hands-on GraphQL workshop, where you'll learn how to build a GraphQL server following latest good practices, and use GraphQL in your React client applications. by Nik Graf, Egghead.io instructor. November 29. In this workshop you will first learn about the syntax and semantics of the programming language Reason. Further we explore powerful concepts like pattern matching and Variants. Half way through we are going to write our first ReasonReact component and end with an exercise of adding ReasonReact components to an existing React application. To attend this workshop you should have worked with React. That said, no experience with Reason, any type system or functional programming is required.